If you’re ready for an effortless style, you may want to consider cute hairstyles that are easy to do with a straightener. Flat irons have gained in popularity over the past decade and show no signs of slowing down. Thanks to their ease of styling, straightening irons make it possible for nearly anyone to have salon perfect tresses at home, everyday. Whether you have textured locks, wavy tresses or are simply challenged with at-home styling, flat irons are a wonderful hair tool investment. Rather than fight frizz and spend endless time blowdrying your hair and battling round brushes, you can minimize your styling time with an easy-to-use flat iron. 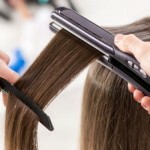 Flat irons work by smoothing the hair in between two heated plates. Heated irons help smooth the cuticle while straightening the hair, offering plenty of shine and modern style. While a typical blunt style is the perfect choice for straightening iron use, the following cute hairstyles that are easy to do with a straightener are a welcome change. The blunt bob is a modern take on a traditional classic. Cut at varied lengths anywhere from the cheekbones to the neck, a versatile bob is effortless when paired with an iron. 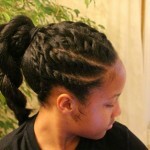 This style is perfect for the wavy or curly haired gal who craves a sleek and chic look but battles frizz and volume. If you’re ready to streamline your style and opt for a sophisticated cut, the bob is a perfect choice. While most layered cuts look great with the volume and softness gained from round brush styling, they can also look polished and chic when styled with a flat iron, particularly so when they are paired with face-framing layers. Consider styling your choppy layers with a heated iron and work a texturizing paste through the ends to break up the blunt lines and add some edgy appeal. This look is ageless and can be worn with fashion hair color for an extreme variation. If you want an in-between medium length style with plenty of versatility, simply change your styling tools from time to time and explore the flat iron possibilities. While it may be the most obvious choice, not everyone considered themselves a candidate for a long and straight 70s inspired style prior to the introduction of a flat iron. Thanks to the ease of smoothing, nearly everyone can rock a flat out ‘do with the help of this versatile styling tool.If you have long locks and want to explore the bohemian fashion and hair trends, why not opt for long locks paired with a center part? A quick shot of a flat iron will ensure any frizz and curl is history. If you plan on going short, you’ll have plenty of fun working with a flat iron. Pixie and cropped cuts look effortless and chic when smoothed out with a straightening iron. 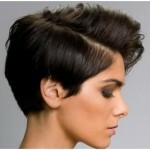 Ask your stylist to cut some wispy chunks into your short style for some variation in your styling. 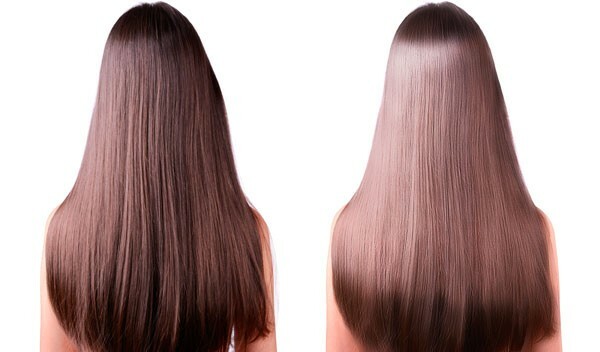 Rather than smooth your entire head, play with sections, leaving some natural and textured in addition to straight. • Don’t overload on product: Work any styling products with an easy hand to avoid excessive shine and greasy-looking locks. • Add some volume: To avoid a flat-to-the-scalp style, work a volumizing spray into the hair and keep the iron at least 1/2″ inch from the scalp. • Ensure hair is dry: To avoid excessive damage, always make sure tresses are completely dry prior to using a flat iron. While a flat iron is really the only styling tool you’ll need to create any of these cute hairstyles, you’ll want to make sure you have a few styling products on hand to protect your hair from damage. A heat protectant spray will help minimize stress on hair while adding a slight sheen. For a healthy does of shine, a wax pomade or glossing serum applied at the end of styling will add polish. A shot of hairspray will ensure your flattened style fights frizz and humidity all day. No matter what the condition or texture of your hair is, you can thank a flat iron for effortless styling. If you haven’t explored the ease of flat irons, why not minimize your styling routine with a new, flat iron friendly style?